A cube van (sometimes known as box truck, cube truck, or box van) is a chassis cab truck with an enclosed cube-shaped cargo area. The cargo area is usually separate from the cabin. Unlike cargo vans, a cube van is created by adding a cargo box to the chassis, so it isn’t a unibody (one-piece) vehicle. E350 SUPER DUTY COMMERICAL CUTAWAY WITH VAN BODY IS YOUR WORK TRUCK SOLUTION - READY TO ROLL TODAY! This 2018 Ford E350 CUTAWAY with Oxford White Exterior, Medium Flint Cloth, 6.8L V10 Engine, High-Series Exterior Upgrade Package with Power Windows and Doors, Cruise Control, Power Mirrors is Upfitted with a 15 FT Supreme Van Body with Dense Pine Floor, Plywood Interior Walls with E-Track, Aluminum Roof and Interior Lights. If this truck does not meet your commercial truck needs, we have the largest in stock inventory of chassis cabs. We partner with Badger Truck Equipment who has the largest inventory of flatbeds, dumps, service bodies, and snowplows on the ground as well as the technicians ready to finish your truck. We have commercial truck knowledge and can help you build the chassis AND the body to meet your business needs. Call Us To Get Started. Please Note That Pricing Does Not Include Eligible Incentives, Rebates, Or Bonus Cash. 2019 White Ford E350 Cutaway Van With 176 Inch Wheelbase, Gray Interior, Standard Trim, Second Generation Passenger Air Bag, Auxiliary Fuel Port, 6.2L V8 Gas Engine, Electric 6 Speed AOD Transmission With Tow Haul, 4.56 Ratio, Bucket Seats, 12500 GVWR, Cruise Control, 40 Gallon Fuel Tank And Remote Keyless ENT/ Panic Alarm. At Badger Truck Center, We Are A Truck Dealership With Sales Representatives Who Have Extensive Truck Knowledge And Can Help You Build And Price The Truck For Your Business Needs. Call Us To Get Started. Please Note That Pricing Does Not Include Eligible Incentives, Rebates, Or Bonus Cash. How Can a Cube Truck Help My Business? The best thing about cube trucks is that they offer so much space. A cube truck is essentially a giant box on wheels, so cargo space is typically more akin to a portage storage unit than a regular van. You don’t need to mess around with trailers, and you can even use the side of the cube van to advertise your business. 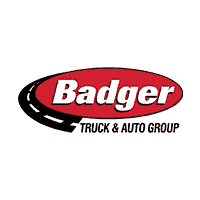 Badger Truck & Auto Group has locations in Milwaukee, Madison, and Green Bay, so feel free to visit today if you’d like to take a closer look at box trucks like the Ford Chassis Cab and Ram Chassis Cab.